This question comes up quite a bit in genealogy discussions. As usual, there are statements like, “Why do they post the photo if they don’t want others to use it?” and, “Yes, its legal to copy the picture. I’ve put pictures on there so people can copy them.” A few mention copyright law but none seem clear on what is acceptable. There’s one rule, above all others, that will keep you out of trouble in a case like this. Ask and you may receive![1. Hawkins, Sarah, “12 Most Picture Perfect Ways to Ensure You’re Legally Using Online Photos,” 12most.com, 26 March 2013, http://12most.com/2013/03/26/ensure-using-legally-online-photos/.] This is especially effective when dealing with genealogists, who are generally good people. This is my Charles Francis Armstrong. In 2012 I found this picture on the internet.[2. 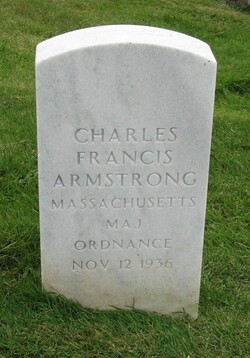 Find A Grave.com, digital images (http://www.findagrave.com: accessed 10 November 2012), photograph by Carol, gravestone for Charles Francis Gray (1936), Find A Grave Memorial #3519670, San Francisco, California.] I wanted it. I asked. She said yes. Easy peasy! I use the photo now and I don’t include her full name but I acknowledge that “Carol” created it. I wouldn’t want someone to mistakenly think that I had taken the photo.